Last year, the highlight of the year was giving the premier of Arturo Márquez’ marvelous flute concerto ‘Concierto Son’ in the Palacio de Bellas Artes with the Mexican National Symphony Orchestra. It was a big success and the audience was so enthusiastic that we had to repeat the last movement at both concerts. This year, I am convinced that one of the highlights will be when I play the concerto again with the National Symphony of Cuba in Havana with Mtro Guido López Gavilan on 4 November, in the presence of the composer. 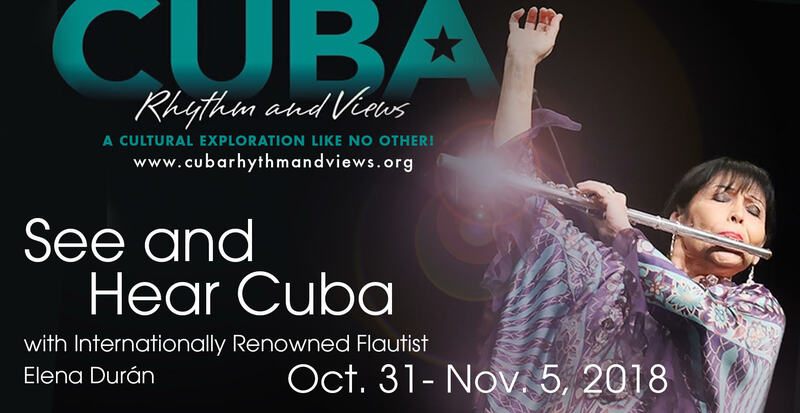 Even more exciting than this is the fact that together with my friends Neil Birnbaum and Woody Wilson from Cuba Rhythm and Views, I am leading a group on a six day visit to Cuba which will end with my performance of Concierto Son. If you are interested in joining us on this exciting trip, please take a look at this short video and also forward it to any friends who might like to join us. For any friends signing up early we can offer a discount of $300 USD! Previous PostThat Was The Week That Was!